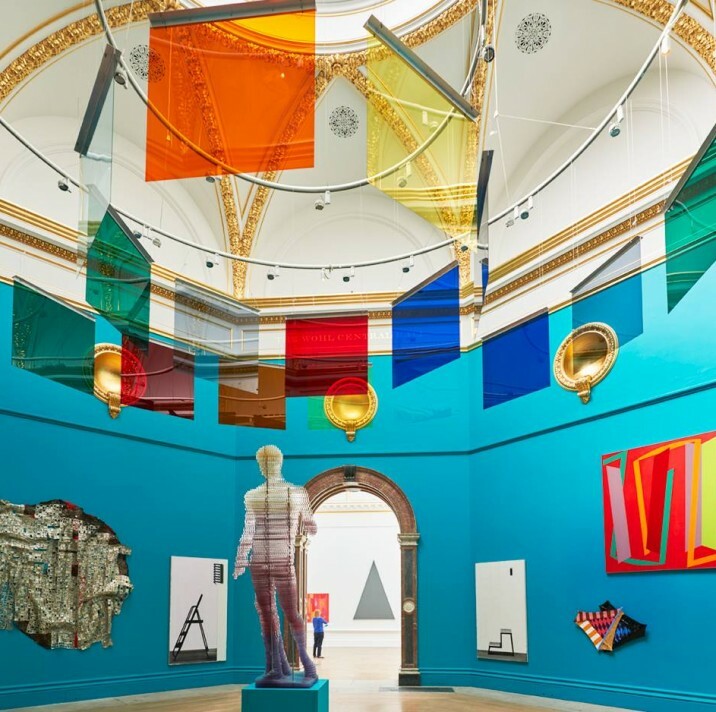 ACS artist Michael Craig-Martin, co-ordinator of the Royal Academy Summer Exhibition 2015, has succeeded in delivering one of the most vibrant and celebrated exhibitions in the long history of the RA. A multitude of ACS artists have been instrumental to the success of the Summer Exhibition 2015. Within the hallowed halls of the Royal Academy, currently bedecked in Michael Craig-Martin’s signature neon pink and turquoise, ACS artists Norman Ackroyd and Mick Rooney aided in curating several rooms of the exhibition. Serving on the prestigious exhibition committee Ackroyd and Rooney aided in the hanging of three galleries, including two rooms exclusive to the medium of print curated by celebrated printmaker Ackroyd. Beautiful work by both Ackroyd and Rooney are also featured in the wider exhibition alongside paintings, prints and sculpture by a wide range of ACS artists. Artwork by artists such as Diana Armfield, P.J. Crook, Fred Cuming, Anne Desmet, Bernard Dunstan, Sarah Gillespie, Sheila Girling, Marcelle Hanselaar, Ken Howard, Bill Jacklin, Hughie O’Donoghue, Nicholas Pace, Paula Rego, David Tindle and Susan Wilson have been hand-picked from over 12,000 entrants to hang in this year’s colourful exhibition. Be sure to visit the Royal Academy Summer Exhibition 2015 to experience the vibrant ‘summer of colour’ for yourself! More information on the exhibition can be found on the Royal Academy website here.